Dragon Ball Super Episode 117: The fan-favorite anime series is currently running its Tournament of Power. It will continue from where Son Goku eliminated Kefla with his Ultra Instinct form. In the upcoming segment, Goku would be seen resting to recover his stamina. The focus will shift to the other fighters of the different universes. All of them trying to eliminate one another. Some of them will be seen fighting in the fused form using potara. The Universe 6 has got only two of the Namekians inside the Tournament. Now, they are left with the fear of getting eliminated from the fighting arena completely. The glimpse of two Namekians fighting Son Gohan and Picollo was given in the last segment. Since then, there has no update on their result. We are expecting to see the latest developments in the upcoming episodes. DBS ep 117 is titled ‘Grand Love Showdown! Androids vs Universe 2’ and will feature between Android 7 & 8 with U2 as apparent in the title. Android 17 and Android 18 will fight and try to take down Rozie and Ribrianne respectively. It will be an interesting segment to watch out for the fans as they will get to see Android twins. There are rumors and speculations as how will A18 will stand against Ribrianne. She has been one of the most annoying characters for the fans as she fills the arena with her blue heart-shaped power. A large proportion of the fans are disliking the idea of still keeping her in the tournament when more powerful warriors like Hit have already been eliminated. Seeing Son Goku suffering from energy depletion, the warriors from other Universes will try to attack him to knock him out of the Tournament. 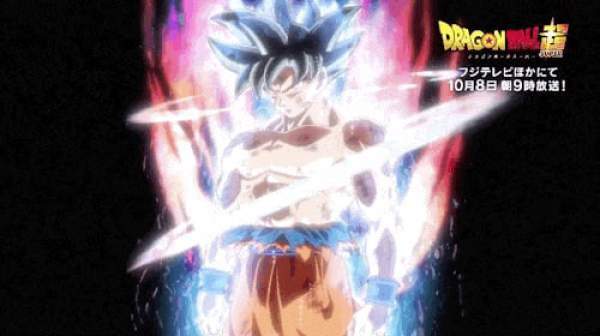 The Ultra Instinct consumed the most power of Goku. So, it will attract the eyeballs of Universe 2. They will eye to send him out of the Tournament of Power. But, the Android siblings will help him out. Another important thing to see will be Vegeta trying to achieve Ultra Instinct form. The Saiyan Prince will trigger the state unconsciously. However, he will fail. Then, he will fight Universe 4’s Katopesla. DBz ep117 airs on November 26, 2017, at 9 am JST on Fuji TV. It will also be streamed live on Crunchyroll, FUNimation, AnimeLab, Daisuki.